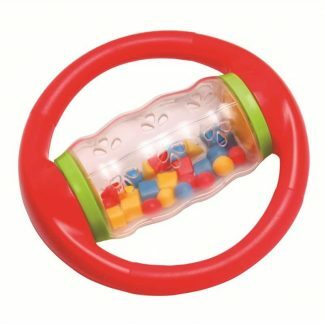 Lightweight Petite Shaker rewards shaking with auditory and visual responses. 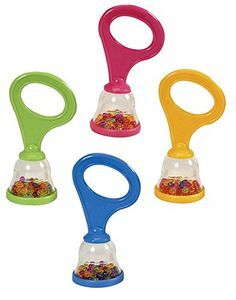 Lightweight and easy for tiny hands to grip, Petite Shaker makes an ideal first rattle. 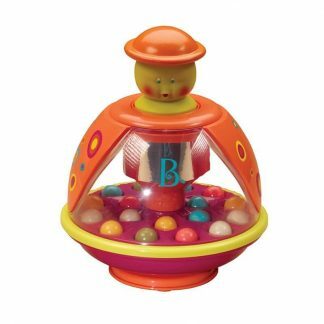 Bright translucent beads inside the clear bell allow baby to see and hear what happens with each shake. 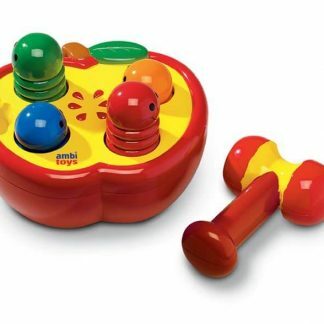 Introduces cause and effect, enhances cognitive and small motor development, and provides visual and auditory stimulation. 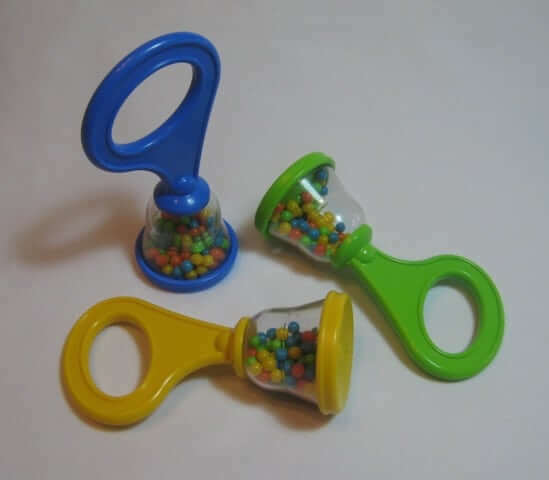 Measures 4 1/2″H. 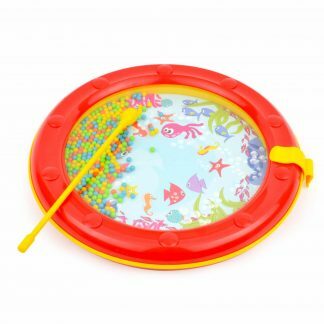 Available in assorted bright colors.